What a Week at Maynard Dixon Country! 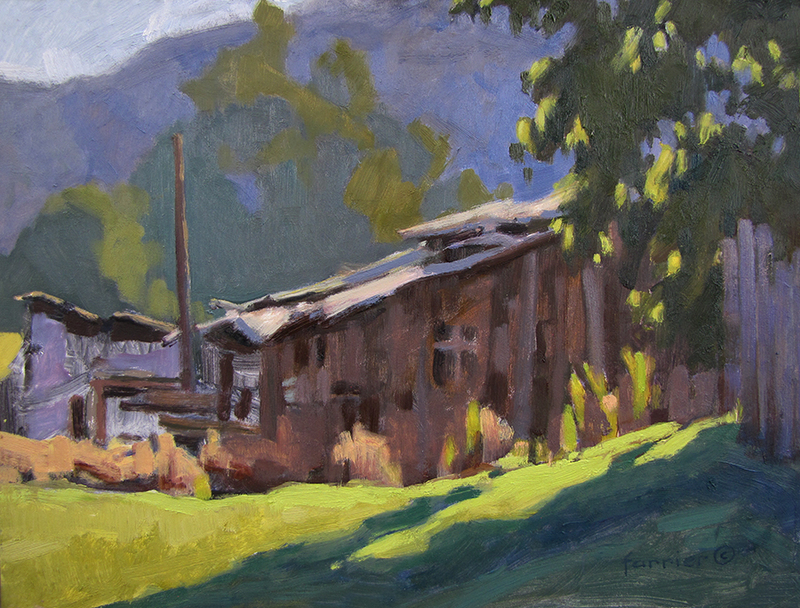 I had the good fortune of being a guest artist at Maynard Dixon Country in Mount Carmel, Utah. What a week of new friends, inspiration, camaraderie, good times and a phenomenal amount of learning... all in the setting of red rock, cottonwood trees and amazing food! Thank you to Susan and Paul Bingham and the Thunderbird Foundation for the incredible insight and planning that they did for all of us! The invited artists treated us to symposiums and demos that would knock your socks off! The inspiration was off the charts! Thank you Glen Renell, Lorenzo Chavez, Shanna Kunz, Elizabeth Robbins, Russell Case, Dilleen Marsh, Robert Goldman, Louis Escobedo, Ray Roberts, Peggi Kroll-Roberts, David Lee, Spike Ress and all panel members! I am speechless with all that you prepared and shared with us guest artists! 'A Storms Passing'. Plein air. Oil. 9x12. We were kept pretty busy, but most of us managed to get in a morning painting or two! 'Refuge in the Expanse'. Plein air. Oil. 9x12. I even snuck in a study on the way home while crossing Arizona! I could not feel more grateful for this experience! WOW!